The 2002 age group for the London Jr. Knights was also chalked full of talent last season. The team blitzed its way through the West division into the postseason, only to run into a tough Cambridge team in the finals. The Jr. Knights had a little bit of everything last year. Some size, some speed and some shutdown D. That trend should continue coming into the current season. This season got off to an unfortunate start for the Jr. Knights as longtime coach Steve Benedetti left the team due to him being unable to committ the time neccessary for the team. Luckily, it looks as though brother Greg, who coached with Steve for the past few season, has come on board for the boys. A roster that includes 11 returning players, the one name I heard over and over again last season was that of defenseman Sheldon Serraglio. Serraglio is confidently the top D in the Alliance this season and should be a top pick should he stay healthy. A very skilled defender, Serraglio has deceptive offensive tools at his disposal and is a key quarterback for the London powerplay. Another player who stuck out for me at bantam was forward George Diaco. Diaco reminds me a lot of former Jr. Knight Eric Guest, although Diaco does show a lot more intensity and drive on the ice, always battling hard on the forecheck. Diaco will be joined up front by the likes of Jacob Chantler, Johnny Fitzgerald and Joey Studnicka, the last two being key pieces to the Jr. Knights physical game down low. London has also brought over Matson Micallef, an all-star himself last year, from the Elgin-Middlesex Chiefs. Not to be overshadowed by Serraglio, Alexander Bikos is another key defender for the Jr. Knights. Tim Kerkhoff will once again be between the pipes and be the number one for London. He will be joined this season by Jackson Mailloux, who comes up from a very successful London AA team a year ago. I said earlier this week that I believed Cambridge was the favourite to win the Alliance this year and I stick to that, But I do believe that London will be the top competition for that spot. A dangerous offense mixed in with a top notch defensive core and good goaltending could see London claiming their second straight Alliance championship. 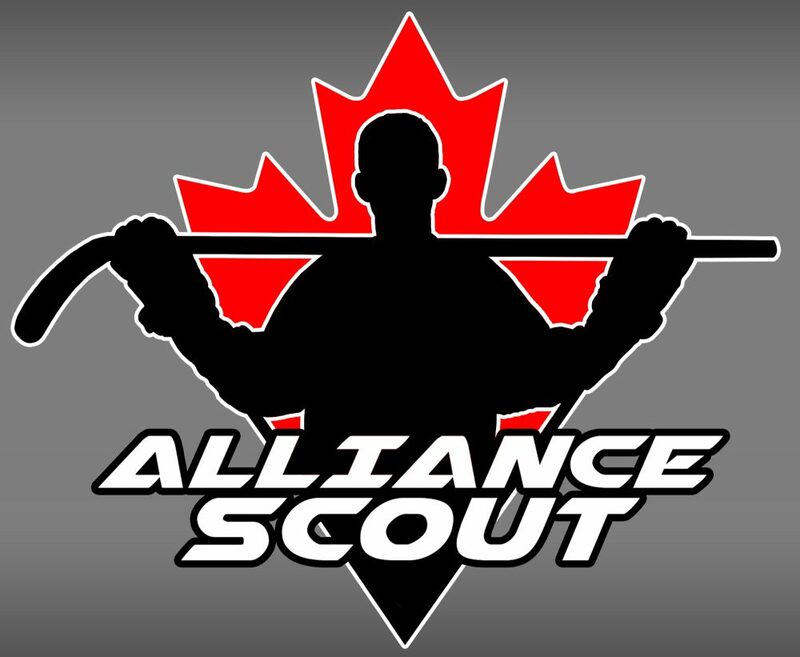 This entry was posted in Alliance Hockey, Alliance Scout, London Jr. Knights and tagged aidan prueter, alexander bikos, cambridge hawks, eric guest, george diaco, greg benedetti, jackson mailloux, jacob chantler, Jeffery Burridge, joey studnicka, johnny fitzgerald, liam van loon, london jr. knights, luke drewitt, matson micallef, ohl cup, ohl draft, owen say, ryan suzuki, sheldon serraglio, steve benedetti, tim kerkhoff by Dave Coulson. Bookmark the permalink.